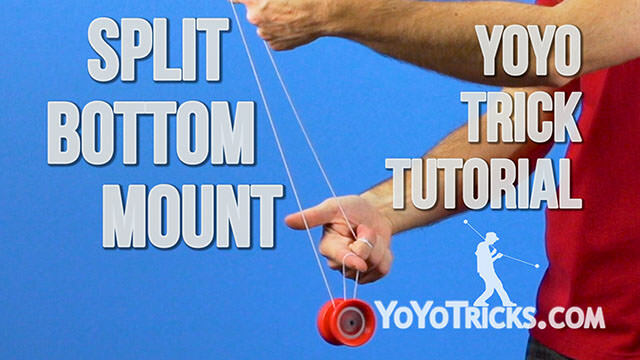 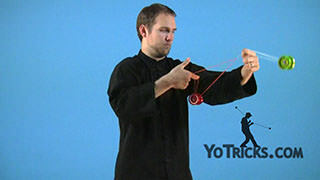 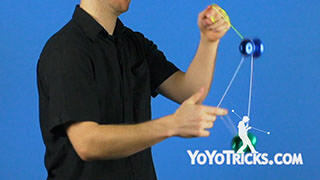 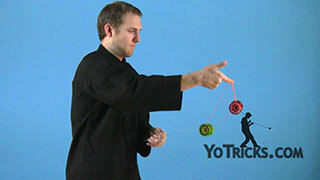 Learn how to do the Blue-Line Mount 3A Yoyo Trick. 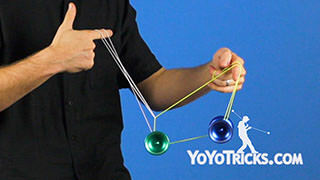 Blue-Line Mount Yoyo TrickThis trick is the Blue-Line Mount; it looks like this. 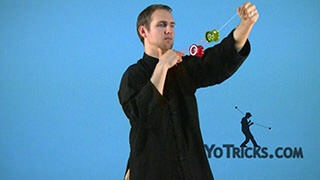 We’re going to break this trick down into a couple stages, so you can practice it a little easier. 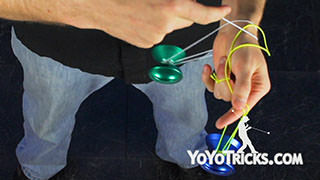 The first stage you are going to want to do a Split-Bottom Mount, but rather than over your finger, you are going to want to do this mount over your opposite hand’s wrist. 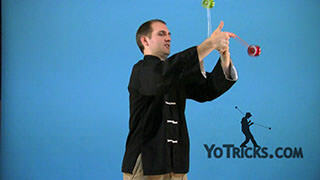 To really make this trick look impressive, you want to try and do it from one throw. 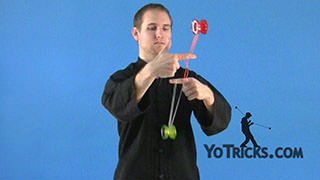 Throw it right over your wrist, right into a Split-Bottom Mount. 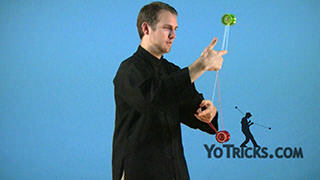 The next thing you want to do with that is do on Flip forward. 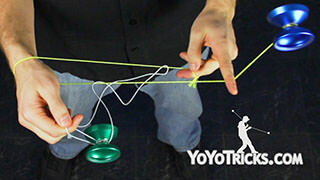 You will then end up pinching the string. 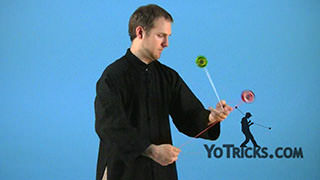 From here we can add that into the rest of the trick so that we can finish practicing. 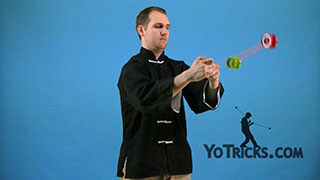 Start with your opposite hand throw. Take your dominant hand, do that Split-Bottom Mount right over your wrist. 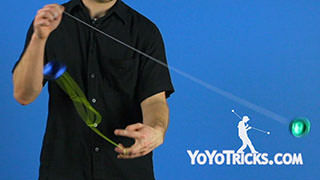 Flip forward. 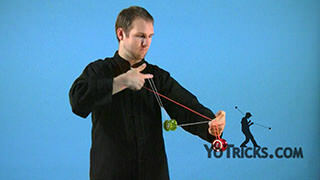 Pinch the string. Pull your non-dominant hand through and you can mount a Split-Bottom Mount with your opposite yoyo. 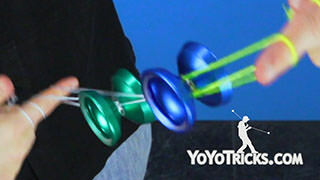 Do one Flip forward. 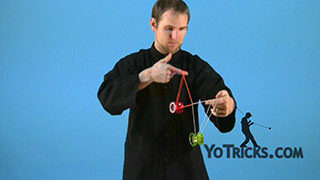 And to dismount drop the yoyos with that circling motion and you’ll undo it. 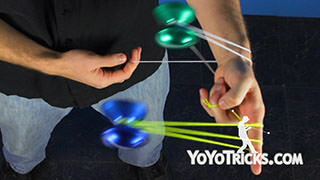 It is important when you dismount to make sure that your dominant hand is falling on the inside so that it untwists. 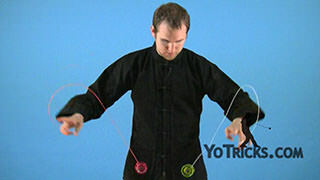 I’ll show you that again from the front. 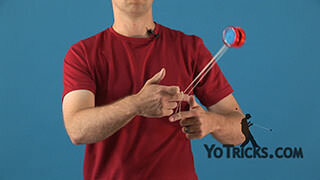 Get into that mount, flip forward, pinch, pull through mount a Split-Bottom, swing forward. 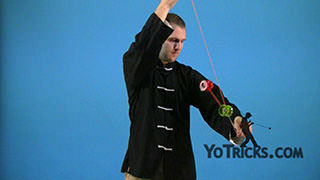 Again, to dismount, dominant hand swings to the inside. 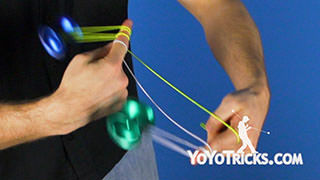 They will unwrap. 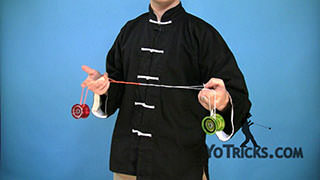 That is the Blue-Line Mount.